August 10 is National S’mores Day! When the weather is raining cats an dogs outside, thoughts of camping are normally not at the front of the mind. But when bad weather hits, the kids can still have a fun camping food favorite. 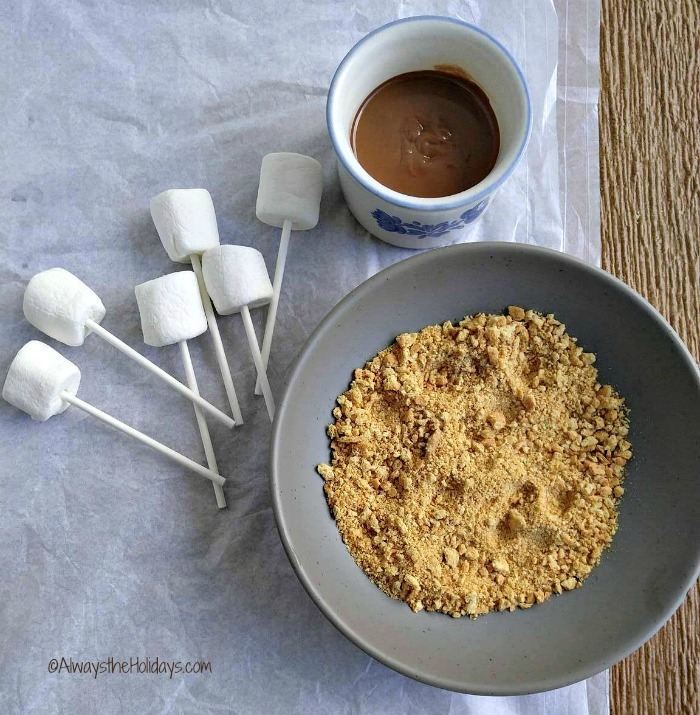 In honor of this fun National Day, how about making these indoor s’mores in your microwave. 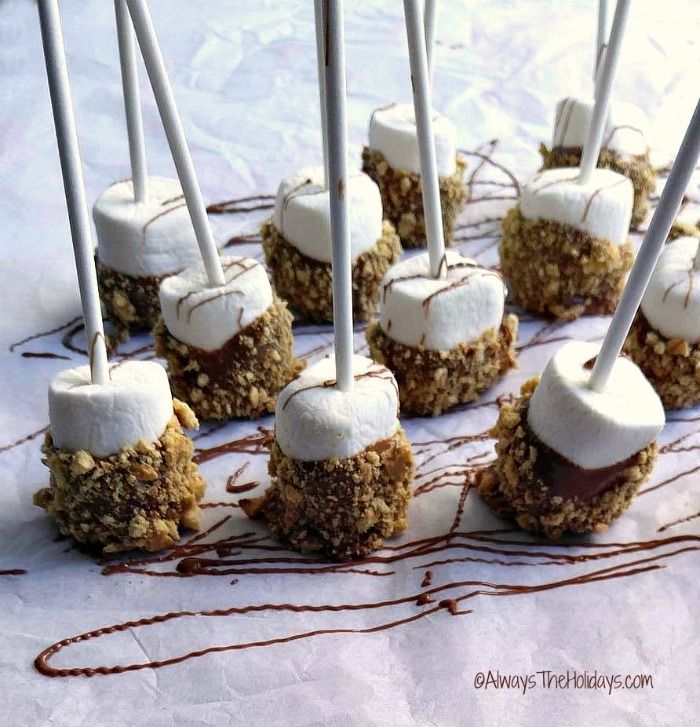 These Indoor s’mores are the perfect rainy day treat to make the kids feel as though they are on a camping trip, no matter what the weather is. The fun part about this project is that the kids can take part in pretty much all of the steps. 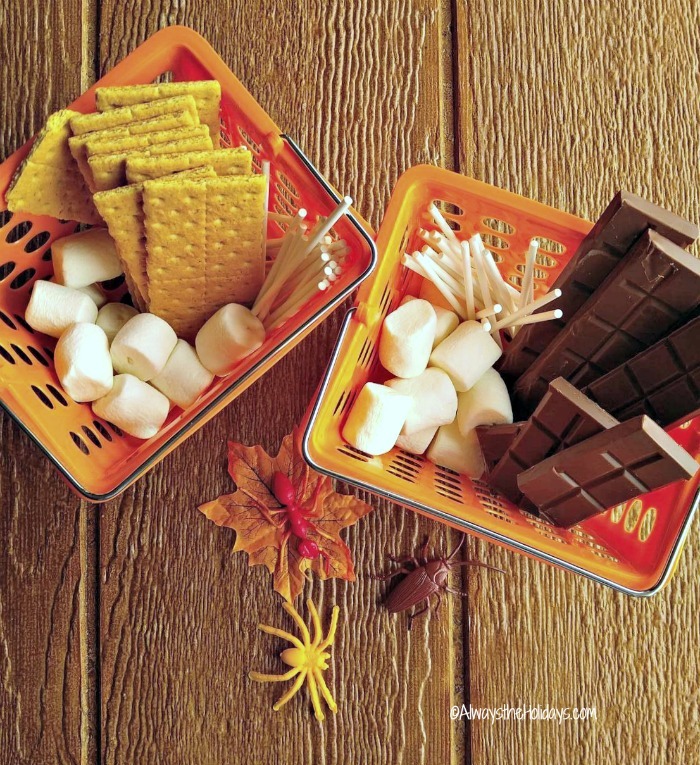 Nothing is too hot for them to join in easily and letting them take part in the preparation will make these indoor s’mores even more special. I started the project by assembling an indoor S’mores station. It made the kids feel as though something really special was about to happen. And guess what? It was!! Now you are ready to get going. Bring everything to one spot to keep the mess to a minimum and you will be enjoying this treat before you know it. Put the milk chocolate in a microwave bowl and heat it in the microwave for 20 second intervals. Mine took about a minute in total to get nice and melted and easy to dip the marshmallows in it. Take one of the marshmallows on a stick and roll the bottom 3/4 of it in the melted chocolate, leaving just a bit of the marshmallow showing. 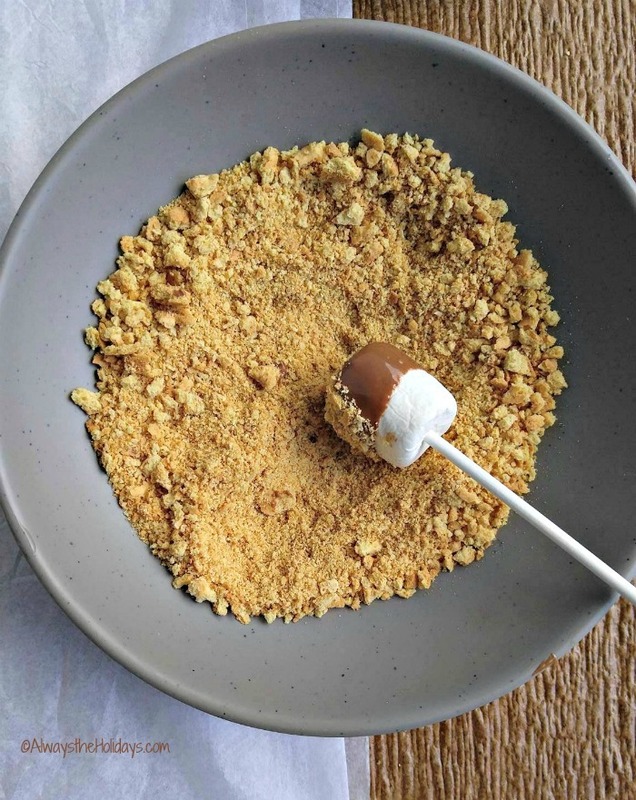 Roll the chocolate marshmallow in the crushed graham cracker crumbs. 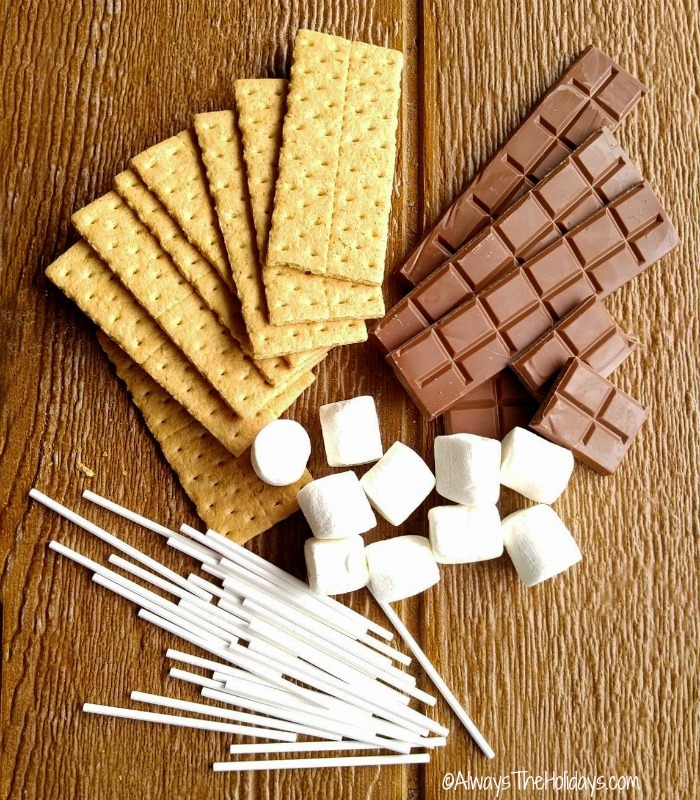 These indoor s’mores have the great taste of traditional microwave s’mores but are perfect for a party platter, since they stand well and are not quite so messy. I had some the next day and they still tasted great. 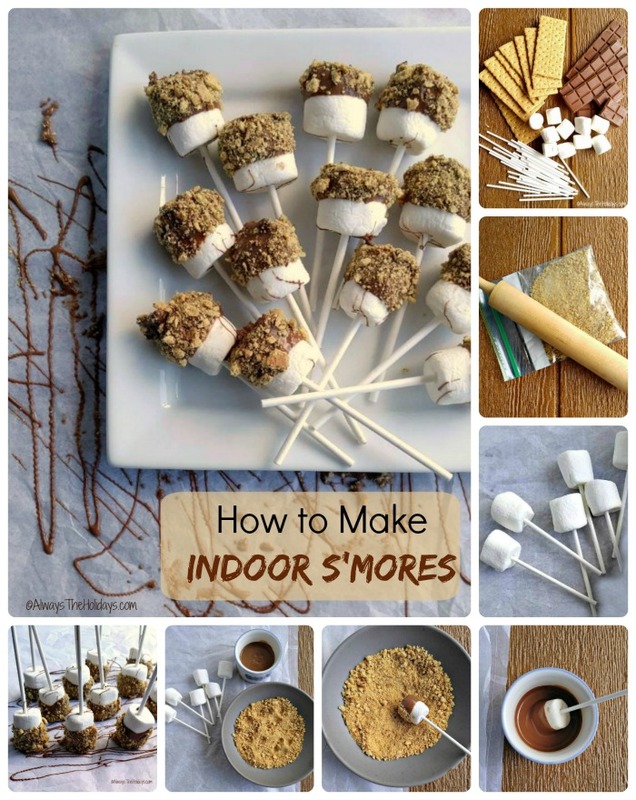 We had a blast making these indoor S’mores. For more fun indoor camping activity, see my tips for an indoor camping party on The Gardening Cook. 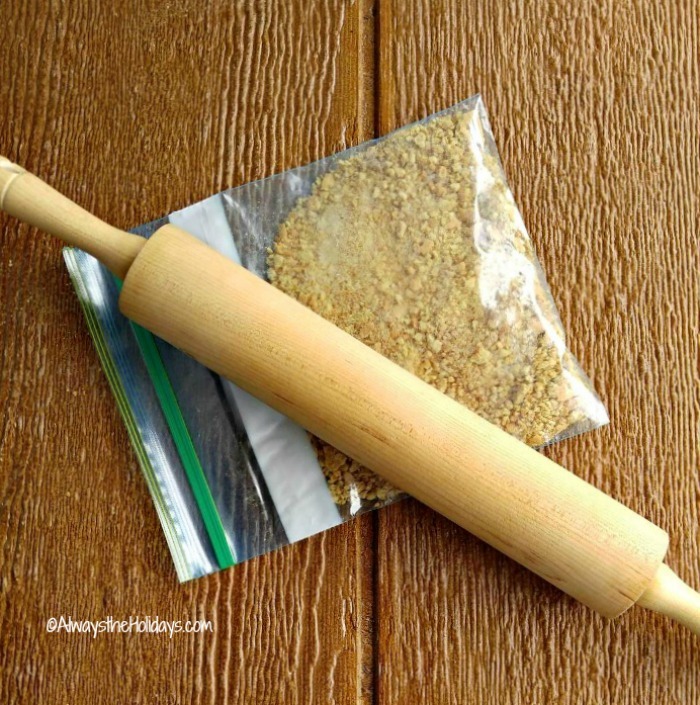 Use a rolling pin to crush the graham crackers into fine crumbs. 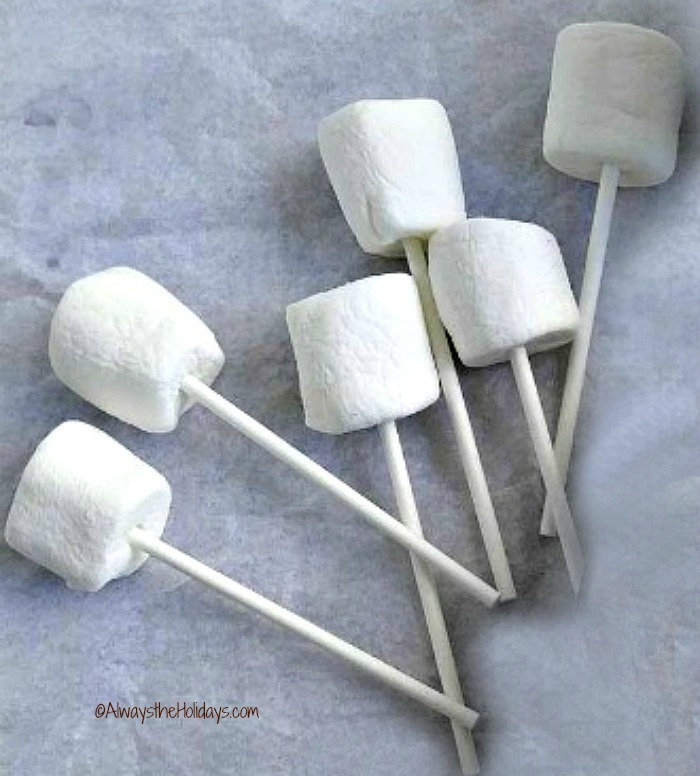 Place one cake pop stick into each of the large marshmallows. Melt the chocolate in the microwave in 20 second increments until smooth. 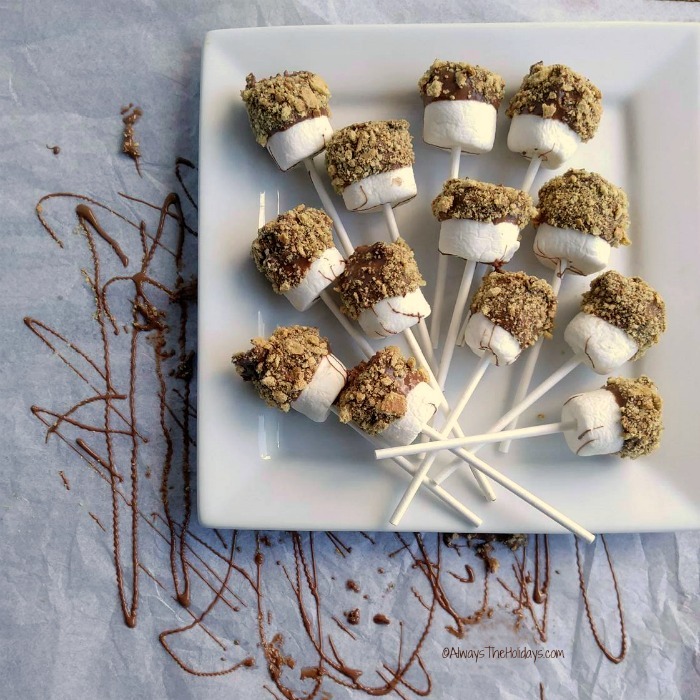 Dip the top half of the marshmallow in the melted chocolate and roll in the crushed graham crackers. Place marshmallow side down on parchment paper. 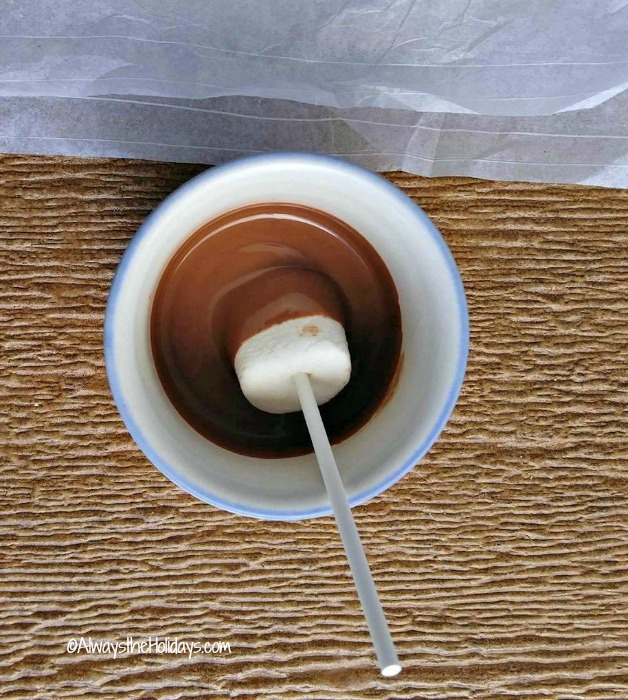 Place the remaining chocolate in an icing bag and drizzle the marshmallow bottom of the skewers. 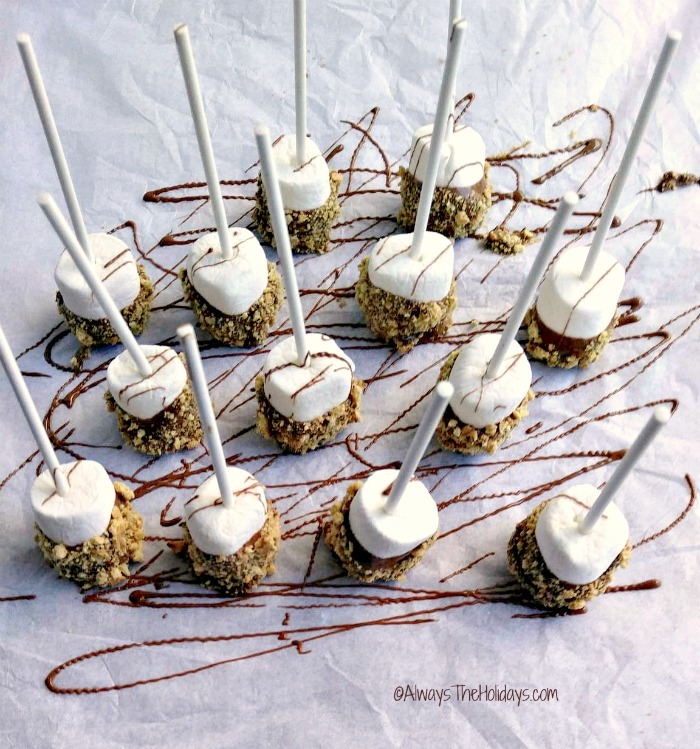 ← Paleo Frozen Banana Pops – Gluten Free!